Our family had a wonderful time staying here. The beds were comfortable and clean. The kitchen was stocked with everything needed to cook so we didn't have to go out. The back patio was very nice to BBQ on and big enough to sit and relax. We will definitely stay here next time we come back on vacation. All was great.....I would stay with you again at any of the Nemo Cay Condos!! More than expected, the vacation rental was super nice and clean and we all feel like home. Love it so much. I already recommended to all my family and friends. THE PLACE WAS GREAT,BUT THE MATTRESS WERE VERY UNCOMFORTABLE, I SUGGEST A PILLOWTOP . I WOULD NOT CHOOSE THAT UNIT AGAIN ONLY BECAUSE OF THE MATTRESS. We really liked this condo. We' were looking for something that had a first-floor bedroom and this was perfect. We rented several condos for a family reunion and everybody had a great time. Very clean and updated. Enjoyed the pool and playground. Wish there were more towels and fewer emails and texts from the padre escapes. Staying at Nemo Cay Resort was the best condo experience we've stayed at! The unit was very clean & pretty, checking in & out was easy, the staff was friendly, beds were comfortable, the entire unit is very well stocked & decor is awesome, my kids loved the pool & the stay, great place for a family stay, the entire property is very well kept, & parking in front of the condo is very convenient. We didn't mind that it wasn't beach front since the drive to the beach & fishing pier took about 5min. Loved Whitecap Beach! The sand is soft & beach was clean. The owner's truly take pride in this condo. We enjoyed it so much that we stayed an extra night! We'd definitely stay here again! The place was lovely and kid friendly, but the dishes were dirty with old food stuck on the pots, pans, & plates. The sheets were disgusting there was private body hair on the master sheets and stains on one of the kids sheets in the bunk room. Other than having to come in and wash everything the place is great just need to get a handle on cleaning services so that guests can relax totally and not have to clean first. Especially when guests are paying a cleaning fee. Our experience was wonderful. The property management group was very friendly, We were able to check in early to accommodate our arrival. Check in was down the street from the resort. Property description was accurate, and the property was very clean. We went to Whitecap beach which was just a mile down the road from the resort, we loved the location. Around lots of restaurants and gas stations/convenience stores. It was very clean. Comfortable and great location. For what we needed. Pool was good size. Little dirty but what can I say it is in Corpus Christi. Sand everywhere!! PSWe have been here by an invite from a friend. And we came back again. Very nice!! 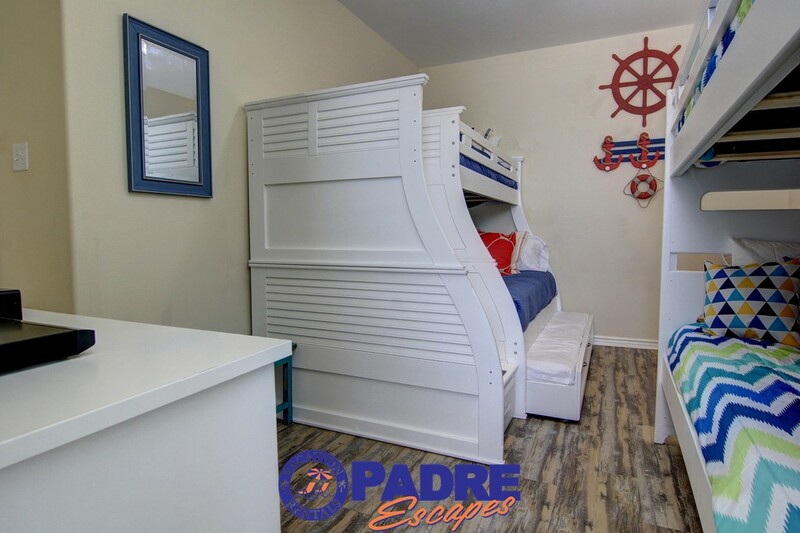 Nice and clean.. had everything we needed and more..excellent vacation place for adults and children..very close to beach and shopping..
Had a wonderful vacation with large family (12) everything was clean and very nice. 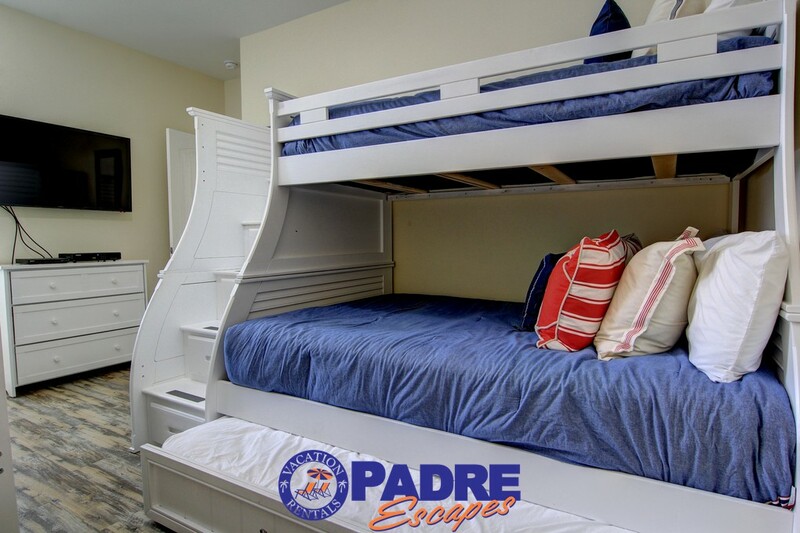 This is our second trip using padre escapes will use again. Condo was extremely clean, spacious with a well equipped kitchen. The location is good for exploring Corpus Christie, Port Aransas and the island. We enjoyed our stay. Traveling with young children is always a challenge. This rental was absolutely perfect for our family and friends vacation. The layout was roomie, beds were comfy, condo was clean! The location was perfect close to beach and many restaurants. The pool was perfect for our boys. We enjoyed our stay very much and would def come back again! The house was very clean beds were super comfortable. This was an amazing beach house. The kitchen was well stocked and the kids room was amazing! It even had games for them to play. The pool was great too- sadly though we couldn't get the fountains to work for the kids. Port Arnasas wasn't far away (and a total tourist trap- so glad we didn't stay there) and there were dolphins in the water! This house is also minutes from the beach! My kids ask daily when we're going back! Just wanted to have a warm winter and see the area. The stay was awesome. My entire family was pleased. We still stay again soon. We had a wonderful stay enjoying the pool, playground, close dining places especially the bakery and beach. The vacation was great. We really enjoyed ourselves and we will be back. We wanted to get away for the Thanksgiving holiday and the gulf Coast was just close enough and the condo had plenty of space and great accommodations. We loved this condo. The set up, decorations and location was perfect for our family! We will be back! ?? Great to have you! Thanks for the feedback, we look forward to having you back! When we arrived at the rental i was expecting to be on the beach and easy access to a pool. To my disnay there was no beach in walking distance. Although i was initially disappointed I quickly was informed that the beach was within a 5-10 minute drive. The facility was nice and comfortable. My only issue was it said it sleeps 10 but i only counted enough for 8-9. Would use the rental in future. 1. Master sleeps 2. 2. King room upstairs sleeps 2. 3. 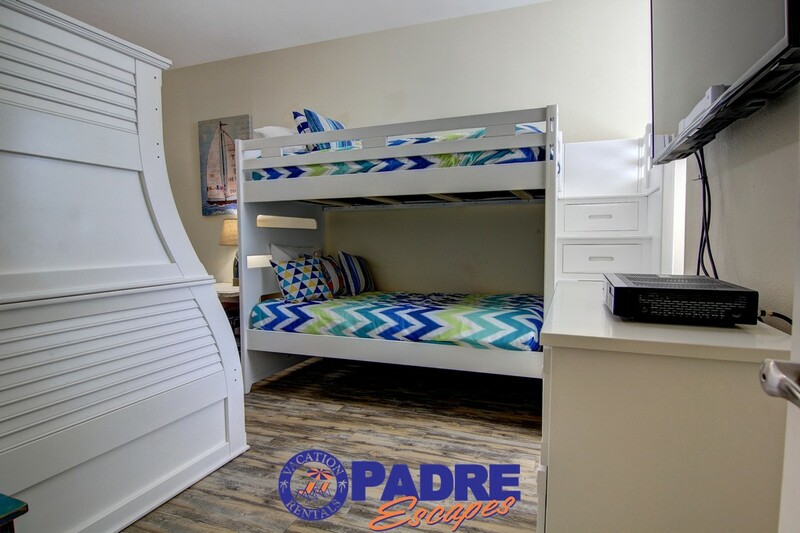 Kids room sleeps 4 (top bunk sleeps 1, bottom bunk is a full and sleeps 2 and the trundle pull out sleeps 1) 4. Hide a bed sofa is a queen and sleeps 2. This totals 10.